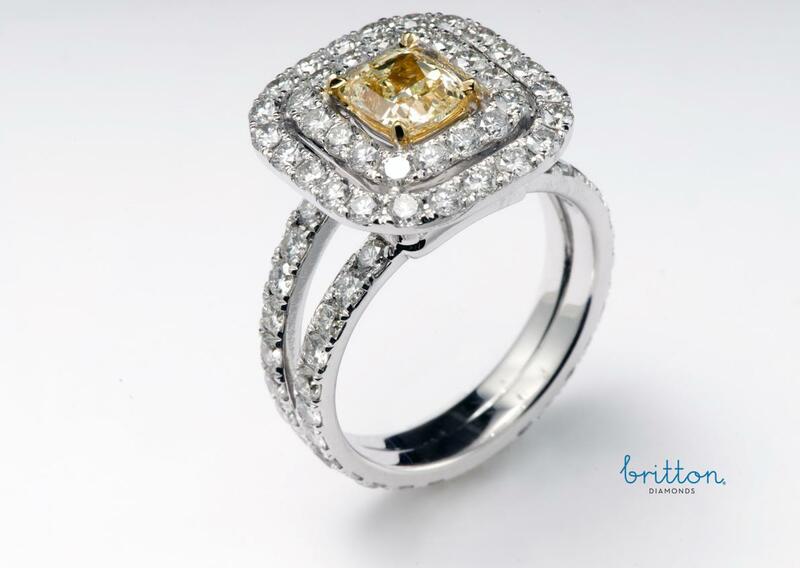 Our Couture Collection, A One Carat Natural Fancy Yellow Diamond GIA Certified No. 2125439221, framed by two delicate crowns of diamonds in a soft cushion shape, complemented with diamond set feminine shoulders in 18K Yellow and White gold. All diamonds are ethically sourced and comply with the Canadian Jewellers Association code of ethics. SKU: 100-00283 Categories: Natural Colour Diamond Rings, Rings. Tag: Fancy Yellow Diamond Ring; Fancy Yellow Halo Diamond Ring. If you have a different design in mind, please contact us. 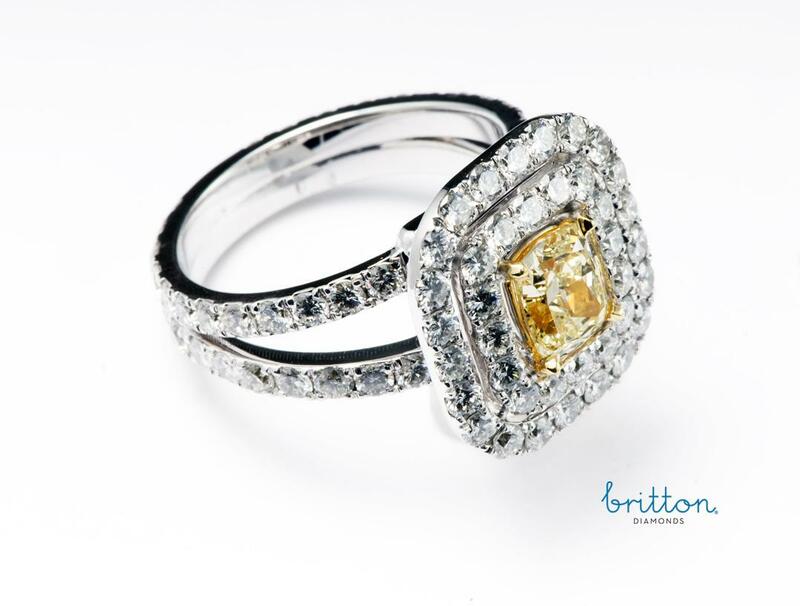 We can re-purpose your existing gems and diamonds into a new design that you will love and wear. You may be surprised just how competitively priced we can be and we would love to create that for you. We have an extensive selection of finely crafted jewellery in our showroom, please come by and see them for yourself. All center diamonds are GIA or AGS certified. All diamonds are sourced in strict adherence with the code of ethics set by the Canadian Jewellers Association.